You have My mind – the mind of Christ. As you cast down evil imaginations, you make Me proud. I Am filling your head and your heart with eternal things, so have ears to hear My voice and My voice only. While it’s good to learn from your past and prepare for your future, today is the only day you can control. Today is where you fight for greatness and go after blessing. Unfortunately, if you’re like me – and you are – you’ve found focusing on today is hard. Especially when you consider the conversations you have in your head. Let’s be real. Thoughts of past hurts, offenses and slights pop into your head on a daily basis. Sometimes on an hourly basis. You obsess saying, “I should have said this,” “I should have done that,” or “What if…” You start to construct conversations in your head that transport you back to the anger and hurt. Then there are the imaginations of the future. You know, preparing for battle by practicing for fights that may never come. But they do, and mostly because you were locked and loaded from a false conversation or an imagined slight. Like Adam and Eve in the garden, you are talking to snakes! 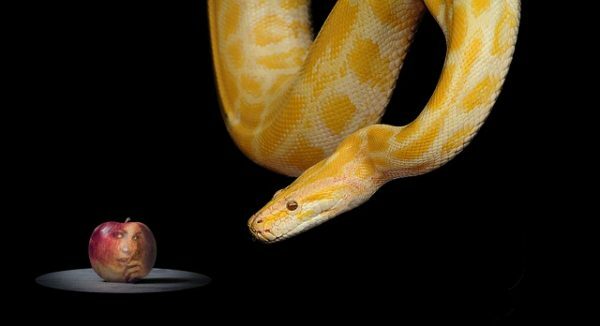 These conversations in your head are deadly fruit the serpent uses to keep you wrapped up in your past or undermining your future. You’ll never move forward so you will never be a threat to his dark work. If the devil can keep you fighting imaginary battles over imagined offenses with real opponents, he can push you into a costly war on a battlefield you have no grace to win. Yes, he’s out to kill your testimony and bring your upgrade to a screeching halt. Wake up! When you find yourself reliving conversations from the past or preparing for a future fight, cast out that thought and the serpent with it. Call on the name of Jesus. Declare you have the mind of Christ, because you do. Confront the voices in your head. Cast out the voice of the enemy and the “in-a-me.” Hear Jesus call you to deeper things?